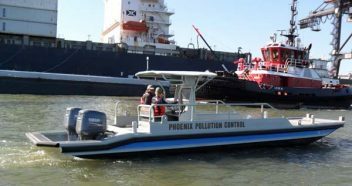 Phoenix Pollution Control operates a massive fleet to service all of your waste transportation needs. We have 70 barrel trucks, 130 barrel-vacuum trucks, and even more roll-off trucks, rescue boats, and air-monitoring tech. All of our trucks and vehicles are fully permitted to operate with dangerous chemicals and hazardous materials, both wet and dry. Not only do we have our own high-standard safety policies, but we also hold certifications with OSHA, PICS, and NASAP. We offer our transportation services at any time, any day of the year so that you can always get the waste tranportation services you need. We pride ourselves on being able to offer you the highest quality transportation services at the most affordable prices. We don’t believe in nickel and diming you. 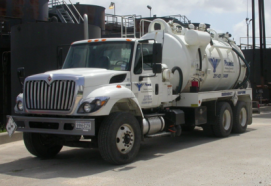 Instead, our charges cover the cost of extensive human and environmental safety training, top-of-the-line clean-up and transportation equipment, and experienced personnel, so that you get the value you deserve. We have a fleet of land- and water-ready vehicles prepared to respond to any waste emergency. 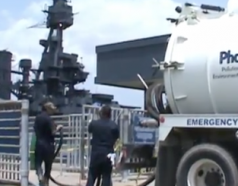 We can transport clean-up supplies and emergency response crews to disaster sites, and our vehicles can also be used to remove dangerous materials from oil spills, chemical contamination, and anything else. Our vehicles can also be used to perform rescue services for people, animals, and equipment trapped in disaster sites.